Today's Image of Mars is of Shoemaker Ridge, which is the next destination for Mars Exploration Rover Opportunity. Once again, Stuart Atkinson of The Road to Endeavour assembled and colored this amazing image. His work helps excite the whole world about Opportunity's exploration by transforming the raw images into beautiful scenes that make everyone who sees them envious of the Mars rover. Shoemaker ridge promises to provide a spectacular view of the surrounding area and very possibly the most amazing photos of Mars yet! We will definitely keep you updated with the Mars Photo of the Day! 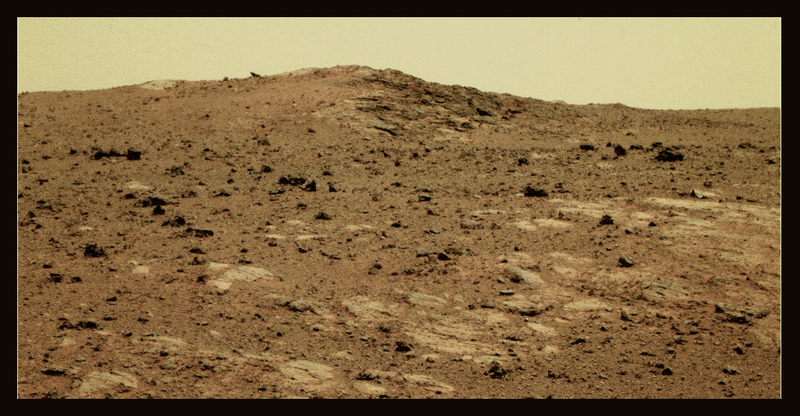 This photo links to the post on The Road to Endeavour where this image of shoemaker ridge was compiled and colored from Oppy's raw images.